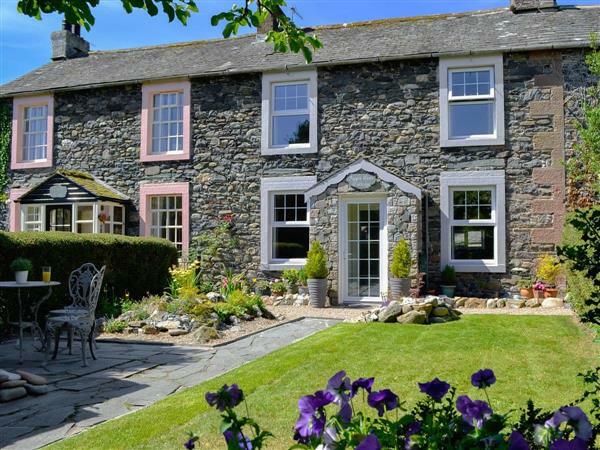 Apple Tree Cottage in Bassenthwaite, near Keswick, Cumbria sleeps 4 people. Apple Tree Cottage near Keswick stands at the bottom of this beautifully manicured and well thought out garden looking back towards the cottage. This terraced cottage gets its name from the mature apple tree in the garden, which in season provides a harvest of plump fruit which guests are welcome to enjoy. Guests will love the stylish décor and thought which has gone into the interior design. Apple Tree Cottage has all the modern amenities you need for 21st century living without losing any of the authentic character and charm that this delightful cottage delivers. This quiet village location means that you can escape and retreat to the countryside in no time. On the first floor you’ll find two bright bedrooms and a family bathroom, making it perfect for two couples and also great for families, whilst downstairs features a well-equipped kitchen and spacious living room. Relaxing in the living room you can enjoy great views out to the lovely garden where you can often see birds feeding and even red squirrels which help themselves to the monkey nuts from the feeder. The enclosed lawned garden is a great place to soak up the sunshine complete with plenty of colour in the rockery and flower beds and best of all, provides easy access to the village pub via the garden gate. You are just 100 yards from a range of local cask ales and great food that bring a refreshing reward after a day of adventure in the countryside. Whether you like walking, hiking or cycling, you are never too far away from your next adventure. There is good access to plenty of walking and cycle routes nearby as well as more challenging fells including Skiddaw, Catbells, Latrigg and Blencathra to name a few. Just 2 miles away is The Lake District Wildlife Park with over 100 species of wild animals, great fun for the family. Also nearby is The Lakes Distillery, offering tasting tours and are producers of fine whisky, gin and vodka, always a hit with the adults. 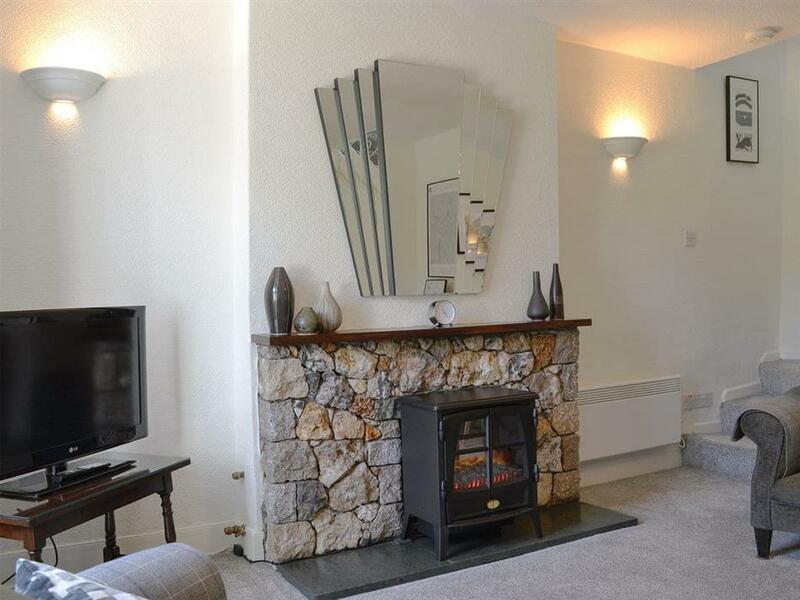 The cottage is just 8 miles from the popular town of Keswick on the shores of Derwentwater, with an abundance of dining and shopping experiences. The Pencil Museum is home to the world’s largest pencil, and The Theatre by the Lake offers award winning arts and drama and the mind-boggling world of The Puzzling Place is fun for all ages. Or why not take a trip to Cockermouth, 8 miles, the birthplace of William Wordsworth. The beach is 17 miles from Apple Tree Cottage near Keswick. With the shop ½ mile, and the pub & restaurant 100 yards from Apple Tree Cottage. Living room: With electric coal-effect fire and 26 Freeview TV. Electric heaters, electricity, bed linen, towels and Wi-Fi included. Travel cot and highchair available on request. Welcome pack. Large enclosed lawned garden with patio and garden furniture. Bike store. On road parking. No smoking. Holidays at Apple Tree Cottage run from Friday to Friday. Apple Tree Cottage is in Cumbria; should you be on the lookout for a special offer, you can find all the special offers in Cumbria. It's always worth checking to see what is on offer at the moment. Do you want to holiday near Apple Tree Cottage (UK1287), you can see other cottages within 25 miles of Apple Tree Cottage; have a look to find your perfect holiday location.